While the NFL and fans of the game are gearing up for Super Bowl LIII, the rest of the league is going about its business. One such team is the Washington Redskins. They are continuing to make significant changes to their coaching staff. Six days ago, they hired Ray Horton. On Wednesday, they made what looks to be another significant change. They hired Rob Ryan. Let us look at why these are so significant. There were multiple reports that the Redskins had interviews with other available defensive coaches. Specifically for their defensive coordinator position. There were ever reports that Owner, Daniel Snyder was the one leading the charge on this. However, those coaches decided to take jobs elsewhere within the NFL. Therefore the Washington Redskins would continue to use current DC Greg Manusky again in 2019. Although, there would be changes underneath him. One such change was in the defensive backfield. Gone is DB Coach Torrian Gray. Gray chose to leave the team and take the same position at the University of Florida. In his place, the Washington Redskins signed Ray Horton. Then on Wednesday, the Redskins hired former Buffalo Bills defensive coordinator/assistant head coach Rob Ryan. He will be in charge of the inside linebackers on defense. What makes these significant for the Washington Redskins? Both of the most recent hires for the Skins have a defensive coordinator background. Ray Horton was the DC for the Arizona Cardinals in 2011 and 2012. He held that title also for the Cleveland Browns during the 2013 season. Next, he was the DC for the Tennessee Titans in 2014 and 2015. Finally, he held that same position again with the Cleveland Browns in 2016. Rob Ryan has a little more experience at the position. Ryan held the title of DC for the Oakland Raiders in 2004-08, the Cleveland Browns in 2009-10, the Dallas Cowboys in 2011-12, and the New Orleans Saints in 2013-15. With these two most recent hires on the defensive side, I believe the Washington redskins are making a statement. Specifically to Manusky. The team now has two people in position on the staff that could take Manusky’s place if his defense should falter. Strengthening a coaching staff can often strengthen a team. The Redskins have done that with their two most recent hires on defense. How do you feel about the Washington Redskins hiring Ray Horton and Rob Ryan? Leave a comment below. 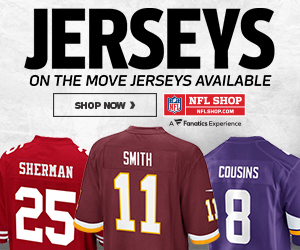 Stay with IroniqMedia for all of your Redskins and NFL coverage. 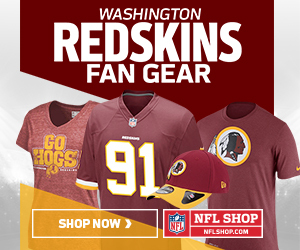 Washington Redskins: 3 observations from the Debacle in DC!